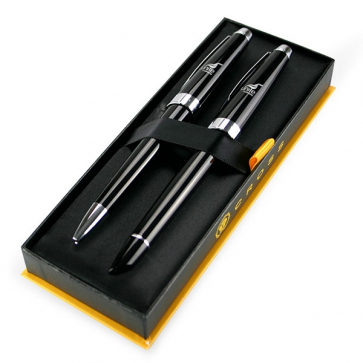 Cross Aventura black ballpen and rollerball pen set. Black Ink. Complete in their own presentation box and a mechanical guarantee.